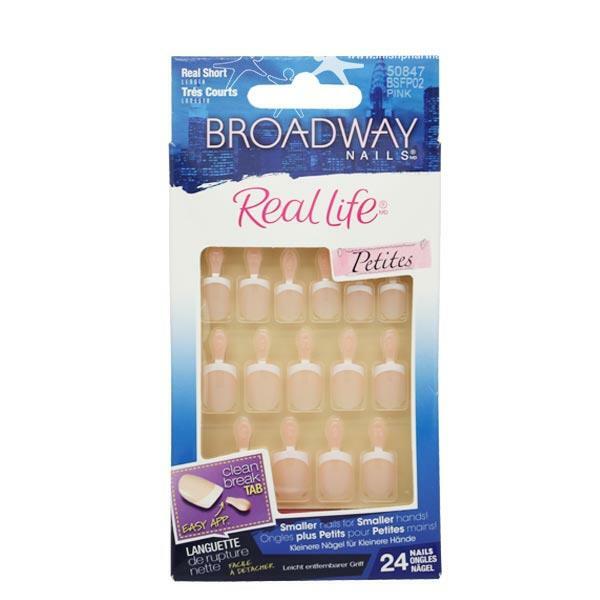 Broadway Nails Real Life Petite Pink includes 24 nails in 12 different sizes. This natural manicured false nails will transform your look within minutes. The self-tab on the real-life nails is designed to make an easy application due to the shorter length nail.